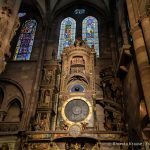 Strasbourg Cathedral: Photo of the Week | Travel? Yes Please! The Strasbourg Cathedral dominates the square at the end of Rue Mercière, standing tall over the heart of the city. Notre-Dame de Strasbourg was built between 1190 and 1439, a Gothic masterpiece that would be the tallest construction in the world for over 200 years. 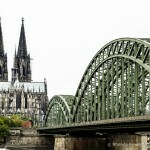 At 142 metres tall, its single steeple makes the cathedral the tallest 15th century structure in the world. The cathedral’s main attraction is a complicated 16th century astronomical clock which welcomes the noon hour at 12:30 local mean time, 30 minutes later than the official time. 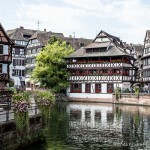 Discover more of Strasbourg as we explore the historic Grand-Île and gorgeous Petite France. Frank - Wow! That’s a great shot.